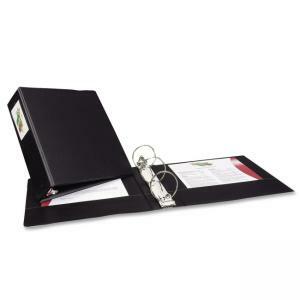 Light-use binder with label holder features two interior storage pockets for loose materials, exposed rivets on spine and vinyl inside front and back covers. Round rings have nonlocking mechanism. Binder holds 8-1/2" x 11" documents and contains 42 percent recycled material.